The popular press was recently abuzz with sad news from the planet Mars: Opportunity, the little rover that could, could do no more. It took an astonishing 15 years for it to give up the ghost, and it took a planet-wide dust storm that blotted out the sun and plunged the rover into apocalyptically dark and cold conditions to finally kill the machine. It lived 37 times longer than its 90-sol design life, producing mountains of data that will take another 15 years or more to fully digest. Entire careers were unexpectedly built around Opportunity – officially but bloodlessly dubbed “Mars Exploration Rover-B”, or MER-B – as it stubbornly extended its mission and overcame obstacles both figurative and literal. But “Oppy” is far from the only long-duration success that NASA can boast about. Now that Opportunity has sent its last data, it seems only fitting to celebrate the achievement with a look at exactly how machines and missions can survive and thrive so long in the harshest possible conditions. On the outside chance that we ever encounter a space probe from an alien civilization, the degree to which the world will change cannot be overestimated. Not only will it prove that we’re not alone, or more likely weren’t, depending on how long said probe has been traveling through space, but we’ll have a bonanza of super-cool new technology to analyze. Just think of the fancy alloys, the advanced biomimetic thingamajigs, the poly-godknowswhat composites. We’ll take a huge leap forward by mimicking the alien technology; the mind boggles. Sadly, we won’t be returning the favor. If aliens ever snag one of our interstellar envoys, like one of the Voyager spacecraft, they’ll see that we sent them some really old school stuff. While one team of alien researchers will be puzzling over why we’d encode images on a phonograph record, another team will be tearing apart – an 8-track tape recorder? If the heady early days of space exploration taught us anything, it was how much we just didn’t know. Failure after failure mounted, often dramatic and expensive and sometimes deadly. Launch vehicles exploded, satellites failed to deploy, or some widget decided to give up the ghost at a crucial time, blinding a multi-million dollar probe and ending a mission long before any useful science was done. For the United States, with a deadline to meet for manned missions to the moon, every failure in the late 1950s and early 1960s was valuable, though, at least to the extent that it taught them what not to do next time. For the scientists planning unmanned missions, there was another, later deadline looming that presented a rare opportunity to expand our knowledge of the outer solar system, a strange and as yet unexplored wilderness with the potential to destroy anything humans could build and send there. Before investing billions in missions to take a Grand Tour of the outer planets, they needed more information. They needed to send out some Pioneers. Humanity has been a spacefaring species for barely sixty years now. In that brief time, we’ve fairly mastered the business of putting objects into orbit around the Earth, and done so with such gusto that a cloud of both useful and useless objects now surrounds us. Communicating with satellites in Earth orbit is almost trivial; your phone is probably listening to at least half a dozen geosynchronous GPS birds right now, and any ham radio operator can chat with the astronauts aboard the ISS with nothing more that a $30 handy-talkie and a homemade antenna. So you like watching stupid stuff? Here you go, a scene from Bones that tops the infamous ‘IP backtrace with Visual Basic’ or ‘four-handed keyboard’ scenes from other TV shows. Someone hacked the bones by embedding malware in a calcium fractal pattern. Also, when she uses the fire extinguisher, she doesn’t spray the base of the fire. Raspberry Pi! You have no idea how good the term Raspberry Pi is for SEO. Even better is Raspberry Pi clusters, preferably made with Raspberry Pi Zeros. Here’s a Raspberry Pi hat for four Raspberry Pi Zeros, turning five Raspberry Pis into a complete cluster computer. To be honest and fair, if you’re looking to experiment with clusters, this probably isn’t a bad idea. The ‘cluster backplane’ is just a $2 USB hub chip, and a few MOSFETs for turning the individual Pis on and off. The Zeros are five bucks a pop, making the entire cluster cost less than two of the big-boy sized Pi 3s. Do you think you might have too much faith in humanity? Don’t worry, this video has you covered. Hacking on some Lattice chips? Here’s a trip to CES for you. Lattice is holding a ‘hackathon’ for anyone who is building something with their chips. The top prize is $5k, and a trip to next year’s CES in Vegas, while the top three projects just get the trip to Vegas. If you already have a project on your bench with a Lattice chip, it sounds like a great way to wait an hour for a cab at McCarran. UPSat. What’s an upsat? Not much, how about you? The first completely open source hardware and software satellite will soon be delivered to the ISS. Built by engineers from the University of Patras and the Libre Space Foundation, the UPSat was recently delivered to Orbital ATK where it will be delivered to the ISS by a Cygnus spacecraft. From there, it will be thrown out the airlock via the NanoRacks deployment pod. The Voyager Golden Record is a message in a bottle thrown into the cosmic ocean and a time capsule from Earth that may never be opened. Now it’s a Kickstarter. Yes, this record is effectively Now That’s What I Call Humanity volume 1, but there are some interesting technical considerations to the Voyager Golden Record. To the best of my knowledge, no one has ever tried to extract the audio and pictures from this phonographic time capsule. The pictures included in the Golden Record are especially weird, with the ‘how to decode this’ message showing something like NTSC, without a color burst, displayed on a monitor that is effectively rotated 90 degrees counterclockwise from a normal CRT TV. Want to know how to get on Hackaday? Get this Golden Record and show an image on an oscilloscope. I’d love to see it, if only because it hasn’t been done before by someone independent from the original project. Who Said FORTRAN is Dead? NASA has an urgent need for a FORTRAN developer to support the Voyager spacecraft. Popular Mechanics interviewed Voyager program manager [Suzanne Dodd] who is looking to fill [Larry Zottarell’s] shoes when he retires. We had a lot of people comment on my recent Hackaday article, “This Is Not Your Father’s FORTRAN”, who studied the language at some point. Maybe one of you would like to apply? You need to do so soon! NASA is hoping to give the new hire six to twelve months with [Zottarell] for on-the-job training. You’ll need to brush up on your vintage assembly language too. 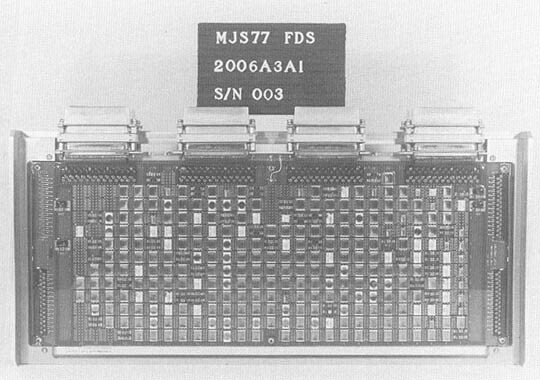 The two Voyagers were some of the first NASA spacecraft to use computers. The resources are limited in the three 40 year-old computers found on each probe. They handle the spacecraft’s science and flight software. The software is a little more recent having been updated only 25 years ago in 1990. A big problem is a lot of the engineering design materials are no longer in existence. People’s memories of the events and reasons for decisions made that long ago are bit hazy. But NASA does have an emergency list of those former engineers when questions arise. That means this could be more than just a job where you program for ancient hardware, you could find a lot of reasons to interact with the people who pioneered this field! This will be an awesome hack. Anyone up to doing remote computing at a distance of 12 billion miles? A video on the history of the two voyagers is found after the break.